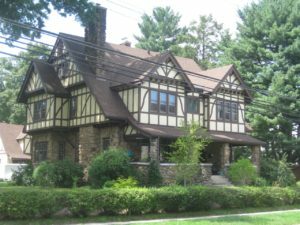 A Tudor Revival house, probably circa 1910, with a river stone ground floor exterior, on South Highland Street in West Hartford, Conn. 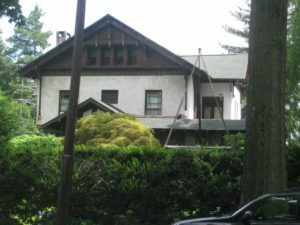 I grew up in a small Cape Cod across the street from this house. 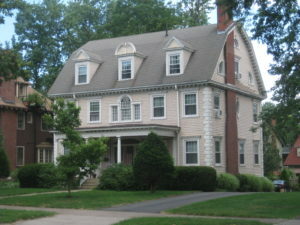 I grew up in West Hartford, Connecticut, during the 1960s. 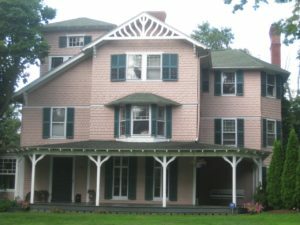 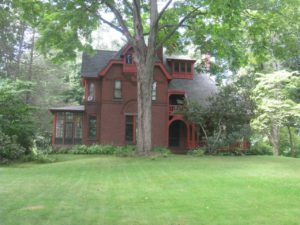 We lived in an area of town that, because of its close proximity to Hartford, had for almost a century been an attractive, bucolic setting for the grand homes of bankers, merchants, and insurance company presidents. 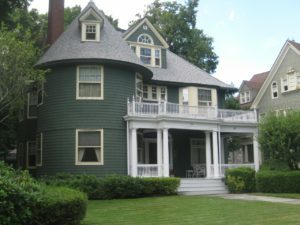 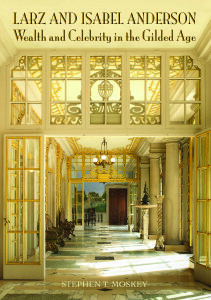 One of the most prominent avenues along which these homes were built was named “Prospect” for the sweeping, panoramic views of Hartford and the Connecticut River from a long ridge high above the city. 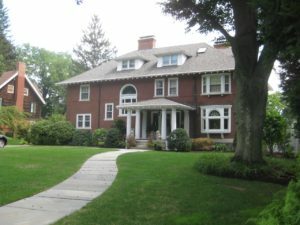 Magnificent homes designed in every major style popular between 1880 and 1930 were built on Prospect Avenue, and with a few exceptions, almost all remain private, single-family residences that have been beautifully and lovingly maintained into the 21st century. 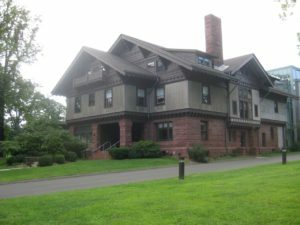 As I child, I often walked up and down Prospect Avenue on my way to Elizabeth Park to play in all kinds of weather, from sledding and ice skating in winter, to arts and crafts lessons and bike riding in the summer. 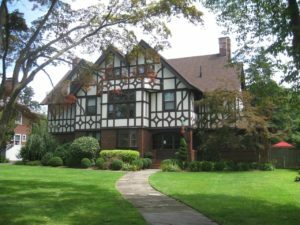 Several years ago, I took a walk along Prospect Avenue and took pictures of the buildings I remember so well from my childhood. 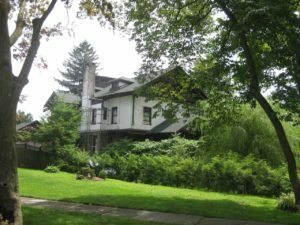 Take a stroll with me along Prospect Avenue and see if you don’t agree with me that it is one of America’s loveliest streets.